Theatre is a living education. I’ve heard actors say how playing different roles and inhabiting different skins allows them to live many different lives. It’s probably a bit like having multiple personalities doing it for a living. But just going to the theatre is a safer place: you don’t have to live the lives, you just have to watch them. The origins of theatre go back to our primal need to tell stories and to hear them. And night after night, I find myself watching master storytellers doing just that. And I am constantly being educated (or re-educated) by them. Science was never, to be honest, my favourite subject at school. Neither was maths. Nor, for that matter, was sport. Yet the theatre makes me wrestle with subjects I wouldn’t otherwise bother with. I’m currently in love with Bend It Like Beckham, which is all about an obsessive love for playing football. And this week Photograph 51 has just joined the pantheon of plays that seek to take us on a scientific journey. I can’t say that I honestly understood all the science presented. As with life itself, you have to take a lot of it on trust. But the play is actually partly about a powerful sense of distrust – and of bad faith – as the male scientists claim as their own the big discovery of X-ray crystallographer Rosalind Franklin, whose photography – and in particular, photograph 51 – revealed the helical structure of DNA, and built their own models out of it. It’s not, to be frank, in the very top rank of dramas about scientific discovery. 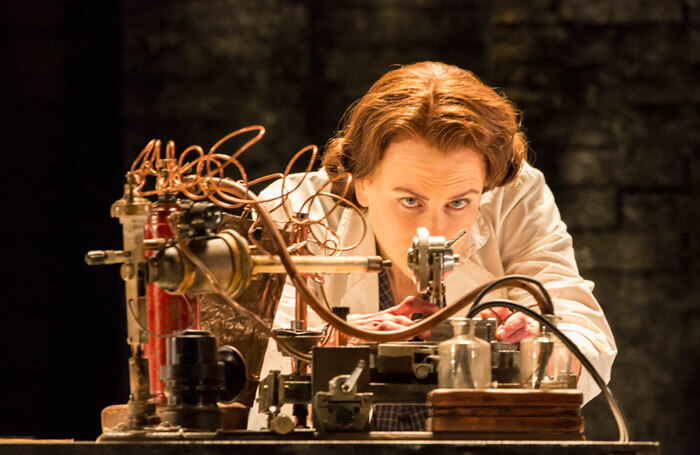 Held up next to Complicite’s A Disappearing Number or the RSC’s recent Oppenheimer, Photograph 51 seems rather thin in terms of both scope and inventiveness. Science is hard to put on stage. The RSC’s recent Oppenheimer, which I didn’t enjoy, showed that. Yet here Michael Grandage, the director, has created something special and authentic with Photograph 51: he and Ziegler strip the story back to basics. I welcomed that myself. But the joy of the play is that as well as dramatising scientific discovery, it also humanises it – and that’s where the production and its actors really score. While Nicole Kidman’s only previous London stage appearance 17 years ago was famously described as “pure theatrical viagra” by my former colleague Charles Spencer (now happily retired, but in the stalls again at the Coward this week to see the play), this play is – in Treneman’s witty closing words in The Times— “pure theatrical DNA”.